What happens when you combine the earth shattering bass technology of a Kicker L7 solobaric and combine it with a round woofer? A Kicker CVX12 is what happens! The CVX series is based on the same technology as the L7 series but works in even more applications. The Kicker CVX series woofers will perform at their best in a ported or vented enclosure but can also deliver tight accurate bass in a sealed box! 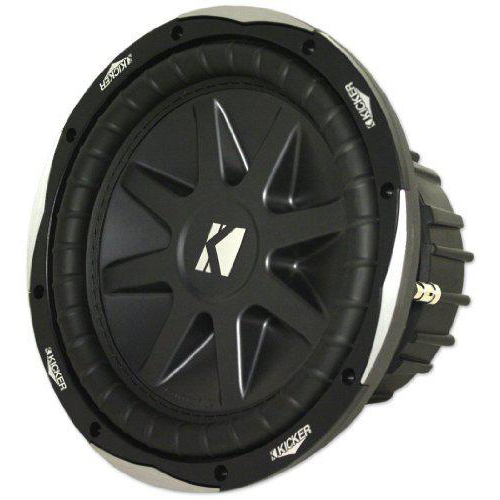 The woofer can handle a TRUE 750 watts RMS, and 1500 watts Peak so you know they are meant to be taken seriously! This model CVX12D4 is a Dual 4 Ohm woofer so if running (1) woofer we recommend a larger Kicker Class D amplifier @ 2 Ohm such as the ZX500.1. If running (2) woofers we recommend the CVX12D2 model as Kicker Class D amplifiers will match better.